When it comes to giant dogs, how can one neglect the Great Dane Mastiff dog! Great Dane Mastiff is a hybrid dog breed which was originated by the crossing of Mastiff dog and Great Dane dog. This Great Dane Mastiff mix is amazingly protective towards its master. 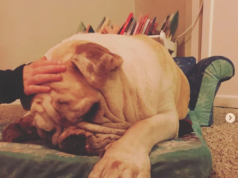 People claim to fall in love with this fabulous dog breed on their first meeting with it. 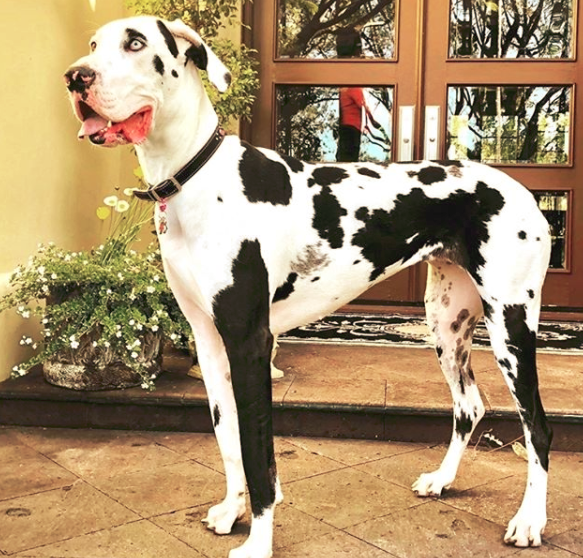 This giant dog breed is popular with the name of Great Daniff. Another name of this breed is English Daniff. This pretty dog breed was originated in 2009 in the United States. Great Dane Mastiff appearance is ample to amaze the people. This hybrid dog breed is well known for its intelligent eyes. These are dark and large in appearance. The eye color possibility of the pet is black while nose color is black. The prominent feature of Great Daniff is floppy ears. Owners should take them for exercise or workout for about 60 minutes. 60 minutes activity is ample for the good health of the dog. They are known to have large jowls. Great Dane Mastiff weight and height is of great significance. The height of this hybrid dog breed reaches to about 32 to 34 inches. As this is a giant dog breed, hence the weight of this Great Daniff is found similar to other giant dog breeds. The weight of Great Daniff is found to be about 115lb to 130lb. Coat of this pet does not shed excessively. They are extremely easy to be handled for cleanliness. Colors of Great Dane Mastiff are quite charming and vibrant. There are various coat colors of this brave dog breed. Hence, you have a great margin about purchasing the most attractive one. These can be characterized on the basis of coat color. The coat color of the Great Daniff can be black, white, gray, brown and brindle. The average lifespan of Great Mastiff ranges from 8 years to 12 years. It is a caring, gentle and loyal dog breed which goes well with the kids. Just like various other giant dog breeds, it is a family oriented dog. 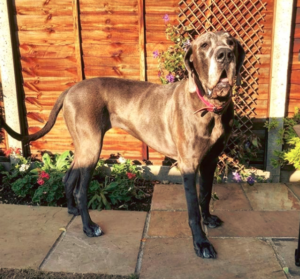 Diseases in Great Dane Mastiff dog is of keen interest to the owners. If you are having a Great Daniff dog at your home, then you should be aware of the most common health issues of the dog. 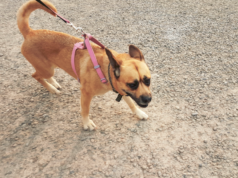 Skeletal problems, hip dysplasia, cardiac disorders, cancer, elbow dysplasia, bloating, hypertrophic osteodystrophy, and eye disorders are some of the health issues of Great Daniff dog. Your dog can be prone to such medical issues. Visiting a vet is beneficial to address such issues properly. 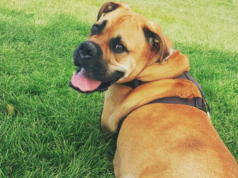 Get to know the astonishing facts and details about your beloved female Bullmastiff. It would aid you in becoming a good owner of your pet. If you are looking to sell your dog then no worries at all. Contact us with the picture and details of your dog and get it advertised quickly.